For many mothers, expecting or not, the rapid spread of the Zika virus in the Americas has been, frankly, pretty frightening. Zika is a virus that causes a fever, rash, and pink eye. It’s spread by a mosquito species known as Aedes aegypti, or yellow fever mosquito, a common insect found in North, South, and Central America except Chile and Canada. The disease is currently active in 23 countries between Brazil and Mexico. The World Health Organization predicts that 1.5 million people are currently infected, an estimated 3-4 million people could become infected this year. Symptoms are generally mild and often undetected. Only 1/5 people who are infected with the virus will show symptoms. Pregnant women are at greater risk because the virus has been linked to microcephaly, a rare birth defect in which babies are born with underdeveloped brains. There have been 270 confirmed cases of Zika and microcephaly, more than 4,180 suspected cases are being investigated. with our community manager Chrysula Winegar. In order to learn more about the threat of Zika, we spoke to Dr. Richard Besser, Chief Health and Medical Editor for ABC News, who was in Brazil covering the escalation of the virus – in particular its impact on pregnant women. The World Health Organization has estimated a possible 3-4 million new Zika infections in 2016 – from just a handful of cases prior to 2007 and no cases in the Western Hemisphere prior to 2013. What has triggered this massive outbreak? 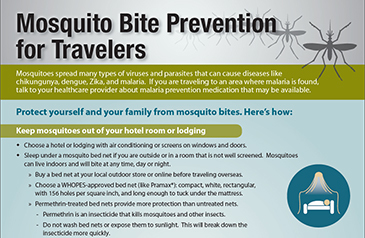 Dr. Richard Besser: Zika is a mosquito-borne disease that is currently being spread by the Aedes aegypti (or yellow fever) mosquito, which is a common insect found in almost every western hemisphere country. The disease was introduced to Brazil in May 2015, and has been spreading wildly since then. It’s estimated that there have been at least 1.5 million cases in Brazil to date. With the growing connection to microcephaly, the greatest risk is to pregnant woman. The condition is characterized by abnormal smallness of the head and incomplete brain development. In a typical year, around 100 babies are affected by it in Brazil. In the past year, more than 4,000 babies have been born with the condition. Studies looking at amniotic fluid and blood tests of babies born in Brazil with microcephaly, show building evidence of Zika as the cause. It’s also possible there are other impacts on babies including hearing and vision concerns. Why have we not heard of this virus until the last year or so? Unlike similar mosquito-borne illnesses like dengue or yellow fever, the symptoms of Zika are relatively mild. Only one in five infected people show symptoms of fever, red eyes, and a rash. Originally there wasn’t a lot of concern about the virus because the affects are so mild. However, now with possible links to Guillain-Barre syndrome and birth defects, Zika is raising alarms. What is your advice to expecting mothers around the world on how to protect themselves? Do what you can to reduce being bitten by mosquitos. So, spray repellent inside your home, stay in air conditioning if possible. This type of mosquito is a daytime and indoor biter. In contrast, West Nile virus is transmitted by mosquitoes that bite outdoors and at night. Get rid of still water inside, spray indoors, and wear longer clothing. RELATED: Watch Dr. Besser’s interview with Fabiola Barbosa in Rio de Janeiro. How does Zika affect others (non-pregnant women)? The virus tends to be milder in men and non-pregnant women. It goes away in a few weeks and is not thought to linger in your body after you get better. We haven’t seen any reports that Zika causes more illness in children as yet, but researchers are looking harder to see if there are other risk groups. Are you worried this could have the same sort of global impact as Ebola? It differs from Ebola – as a global community we are constantly going to be facing new challenges and new illnesses – microbes evolve, and with each one we have to take approach and strategy that is particular to that disease. Ebola was not transmitted by mosquitoes. My biggest concern is that the reaction will not be appropriate to the situation – some groups will overreact and other groups who are most at risk, will not react enough. Is this outbreak similar to any global health issue you’ve seen in the past? The situation with the Zika virus is analogous to Rubella infections. For most people the disease is mild and has no lasting effect, but if a woman gets it during pregnancy, it’s very dangerous. That’s why we vaccinate for Rubella. If turns out that Zika is mild for everyone except in-utero babies, then a vaccine is essential. There is some work being done on a vaccine – the National Institute of Health says it will be a year or more before a vaccine will be ready, assuming one is found that’s effective. It’s still in the early stages. Telling these stories in the US will hopefully lead to more informed decisions and clarify myths from truth. It is so important in telling global health stories to put a face on the people who are affected. I want to let our viewers meet people and help this story become understood. Children born with microcephaly need enormous support – they have no expectation of a normal life or longevity. The concern for other birth defects is also critical, because recognizing those issues early and getting intervention as soon as possible is essential. Keep up to date with the latest information and briefings from WHO.int. 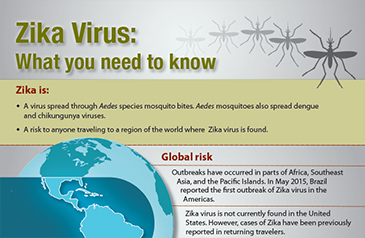 If you’re pregnant or know someone who is pregnant, make sure to read this pregnancy and Zika Q&A from the Center for Disease Control (CDC). Chrysula is the Global Moms Challenge community manager. She is passionate about social media as a way to raise action and awareness for the world’s big problems and solutions. She has four children and believes that when you wake up a mother, you wake up the world.